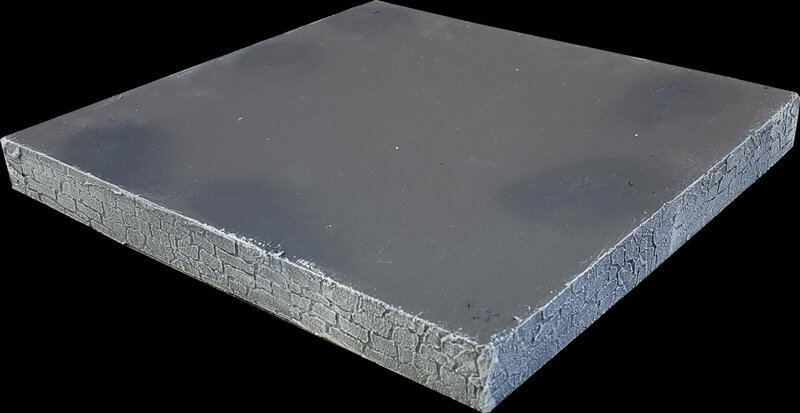 Urban Rise Supports are designed to go underneath your urban tiles, and raise them uniformly by 3cm, to a total height of 4cm. Thus they emulate different levels in the same city. Their sides have the same stone texture, to give the impression of built up, artificial structures supporting the building over them. The height of 3cm keeps them slim enough to store easily away.